The Park 540 DPX 4WD is powered by a Hatz 1B50V single cylinder diesel engine with hydrostatic 4WD transmission giving you infinite speed control in either direction from a single foot pedal and a maximum speed of 10km/h. The fuel tank capacity is 12 litres and the machine is fitted with an adjustable comfort seat and manual servo steering. This engine will power an extensive range of Stiga cutter decks with manual or electric height adjustment control. 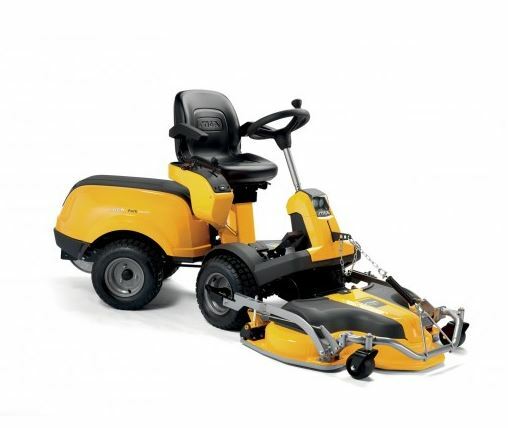 This 4WD diesel model has all the features required to make maintaining and improving your lawn a ‘Drive in the Park’! This model is covered by a 3 year manufacturer's warranty with 10 years warranty on the chassis.